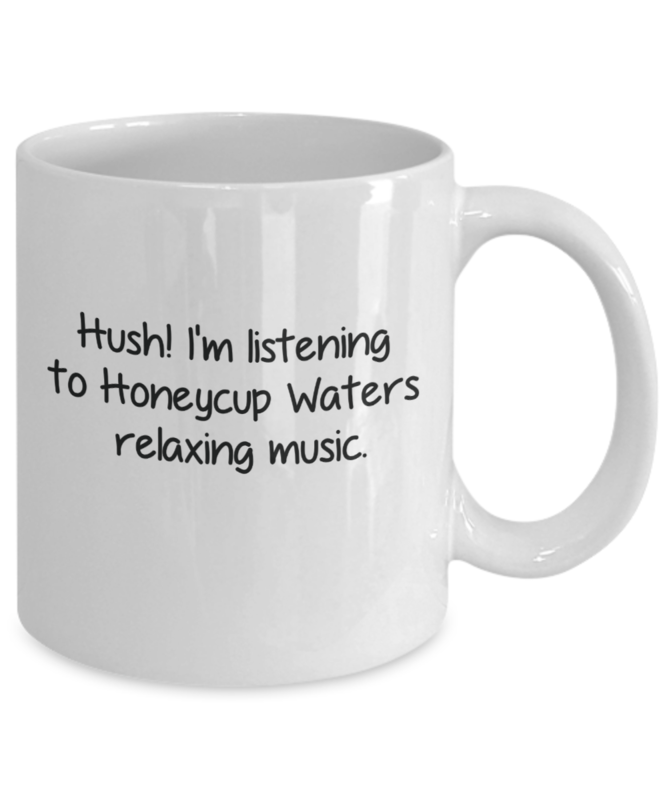 Hush! 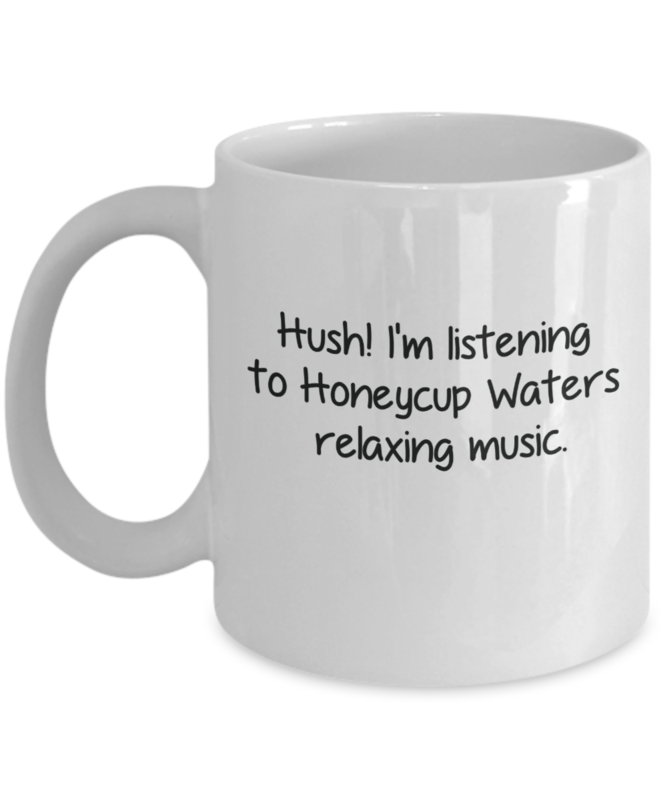 I'm listening to Honeycup Waters Relaxing Music coffee mug. White with writing on two sides.